(left to right) Junior Dean Nevarez, freshman Casey Schmitt, sophomore Julian Escobedo and sophomore Tre Brown horse around after the Aztecs game on April 28 at Tony Gwynn Stadium. Reaching the collegiate level is quite a feat when looking at the scale of baseball players that come out of high school. 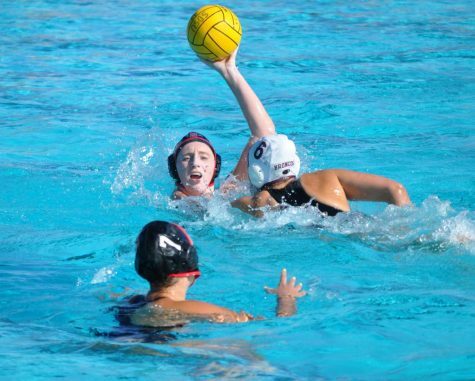 San Diego is a prominent area that produces very good talent when it comes to the sport. 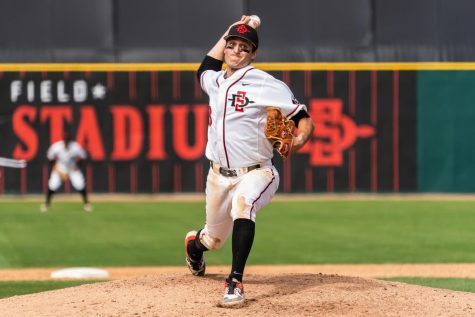 San Diego State baseball has the opportunity to recruit from the best crop of players in the country year after year. A school that they continue to stream players in from is Eastlake High school in Chula Vista. SDSU has four Eastlake alums on the current roster: junior catcher Dean Nevarez, sophomore outfielder Julian Escobedo, sophomore pitcher Tre Brown, freshman infielder/right handed pitcher Casey Schmitt. It is not often that teammates from high school have the opportunity to play together in college. “It is awesome playing in a city that is familiar to us, it is a comforting feeling having our families able to see us play together,” Escobedo said. With Eastlake being in Chula Vista it is only a 20-minute drive from there to Tony Gwynn stadium making it very accessible to the families of the four players. 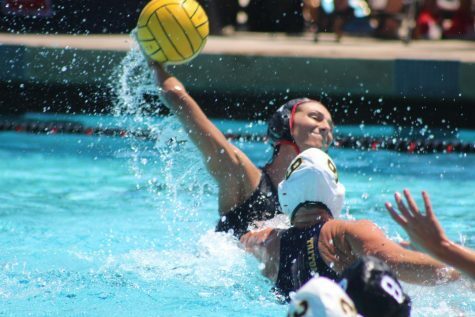 “Because we played together for the majority of our lives we have a better team chemistry who have just met for the first time in a new environment,” Escobedo said about playing with Nevarez, Brown, and Schmitt previously. For those who did not know, Escobedo and Schmitt are cousins which makes their connection a little greater than the other two. “It made playing baseball easy growing up together, growing up together made the game of baseball more fun for the both of us,” Escobedo said about going home with Schmitt together after games when they were little. 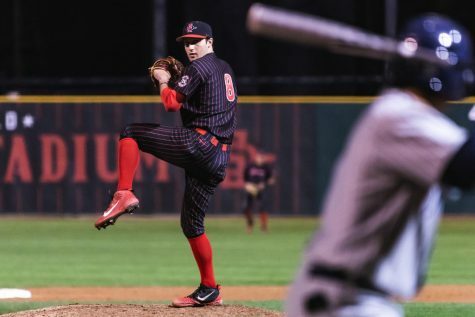 Both Escobedo and Schmitt have had successful seasons, with Schmitt solidifying himself as the Aztecs closer racking up seven saves thus far. 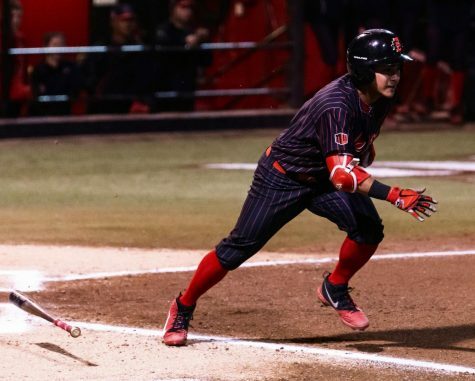 Escobedo leads the Aztecs in runs scored, second-best in on-base percentage, and second on the team in walks. “I’ve played with these guys since little league so it’s awesome to have that bond and connection with these guys as friends and teammates,” Nevarez said about his relationship with his Eastlake teammates. 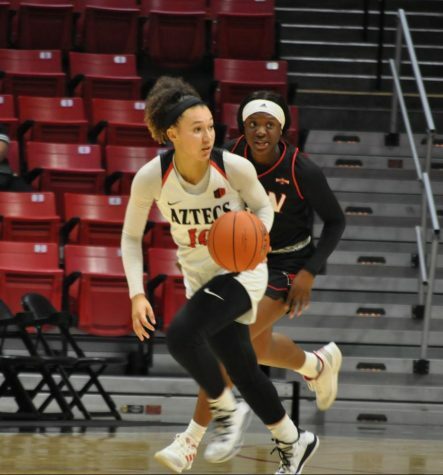 Nevarez, the oldest of the four, has showed the other three what it is like being an Aztec and the expectations that come with putting the jersey on every day. This is Nevarez’s third year as the starting catcher and he has grown into a great ball player, improving his receiving skills and his leadership attributes over his tenure here at State. Nevarez is currently hitting .287 with five home runs and 23 runs batted in. 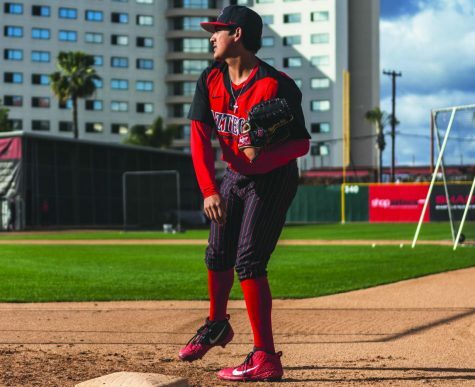 Nevarez’s presence in the middle of the lineup for the Aztecs has allowed not just himself to produce for the team but given guys around him better opportunities to be successful at the plate. 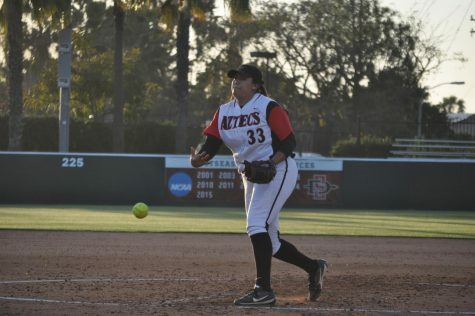 As for Brown, he has barely scratched the surface for the Aztec pitching staff. Brown is a tall, lanky body that has a good delivery that produces great velocity from the mound. Brown’s plus pitch on the mound is his splitter that gives opposing hitters fits on the regular. 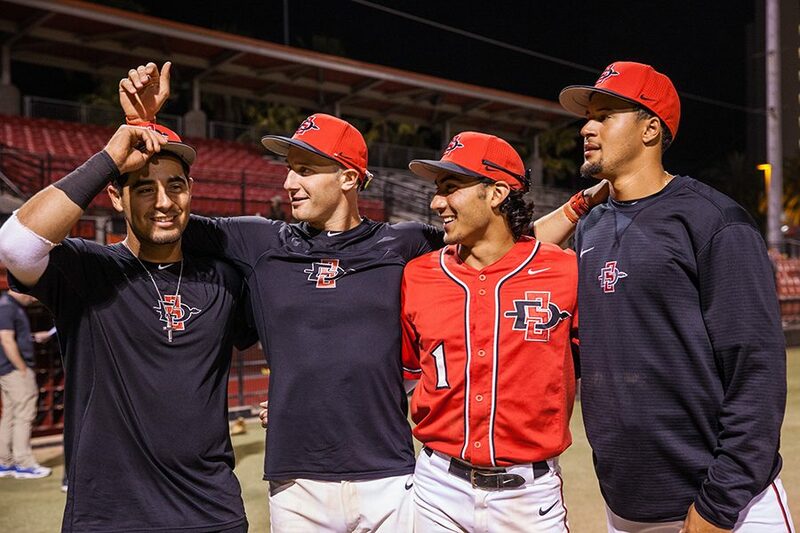 These four have played baseball together for many more years than the rest of the Aztecs on the roster and Brown believes that is a reason that there has been some success for them this year. “I believe team chemistry plays a huge role in the success of the team and for us to be able to bring that chemistry between us to the rest of the guys makes it very easy for them to latch on to that,” Brown said. Having these players for a part of this year’s team is a luxury for the coaching staff because they bring such personality to the team that allows everyone to be themselves. These four aren’t only benefitting the clubhouse, but they are succeeding in the yard as well which is a result of the great program Eastlake High has produced. “We’re just trying to get the best players and local guys, they’ve had the opportunity to experience success at Eastlake and now we’re just trying to bring it here,” head coach Mark Martinez said. I would not be surprised if there is not another Eastlake product going to be putting on the Black and Scarlet sometime soon in the future. For now, the Aztecs have the talents of these four which will help lead them into another conference championship and NCAA tournament run.